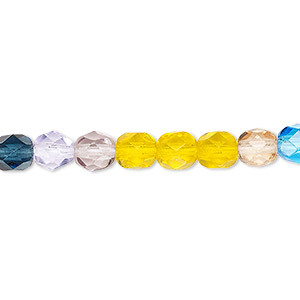 Bead mix, Czech pressed glass, mixed colors, 5x2mm flower rondelle. Sold per pkg of 100. 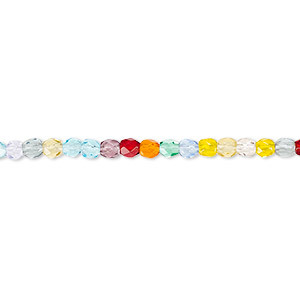 Item Number: H20-7694MD Have a question about this item? 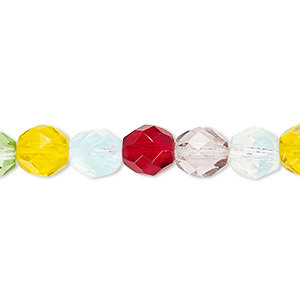 A garden of transparent and opaque flower rondelles for fresh design possibilities. Colors can include red, yellow, green and more. Package can include metallic, AB, luster, transparent, translucent, opaque and more. Size and shape may vary slightly and color may vary from dye lot to dye lot. 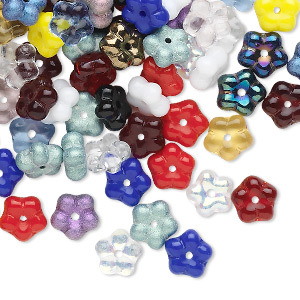 Bead mix, Czech pressed glass, mixed colors, 7x2mm flower rondelle. Sold per pkg of 100. 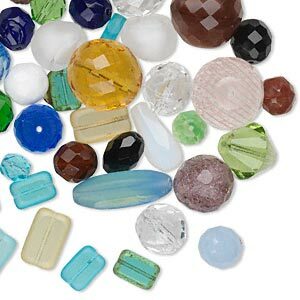 Bead mix, fire-polished / crackle / pressed glass, mixed colors, 5x2mm-16x12mm mixed shape. 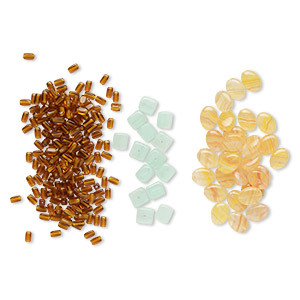 Sold per pkg of (3) 3-gram vials, approximately 60-150 beads. 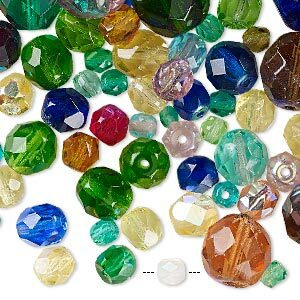 Bead mix, Czech fire-polished glass, mixed colors, 8mm-27x12mm mixed shape. 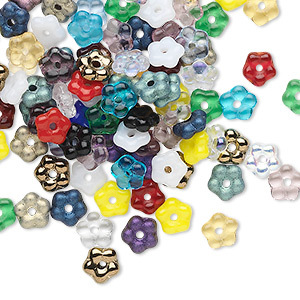 Sold per 100-gram pkg, approximately 40 beads. 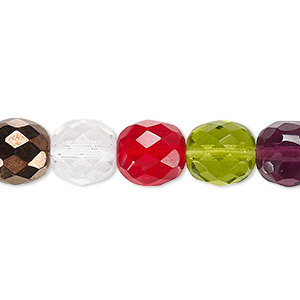 Bead, Czech fire-polished glass, multicolored, 12mm faceted round. Sold per 15-1/2" to 16" strand. 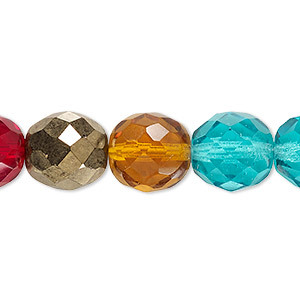 Bead mix, Preciosa Czech fire-polished glass, mixed colors, 3-12mm round. 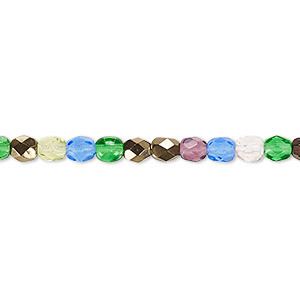 Sold per 1/4 pound pkg, approximately 170 beads.